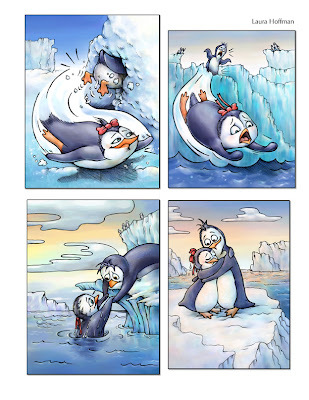 Selected pages from Penny the Rude Penguin, published in 2012. 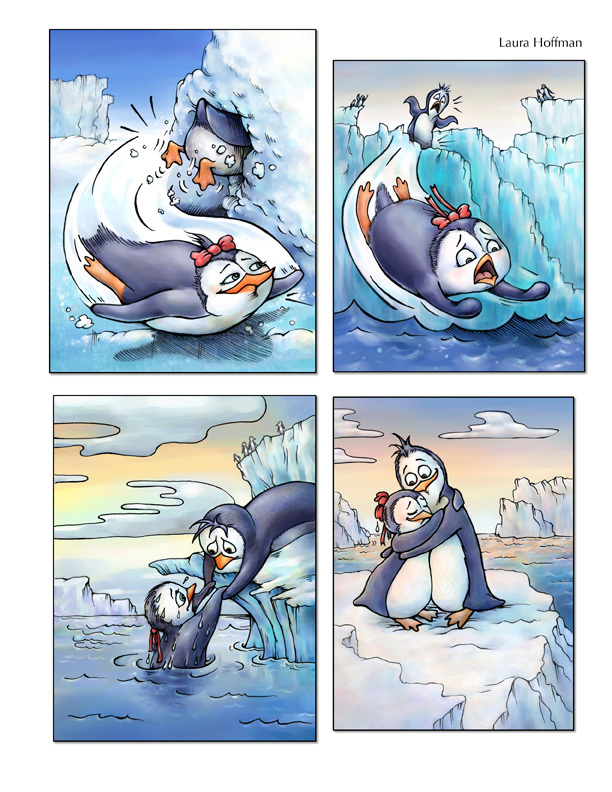 I submitted page 10 from Penny the Rude Penguin, published in 2012. Next, my publisher will be animating Penny and her offended friends. 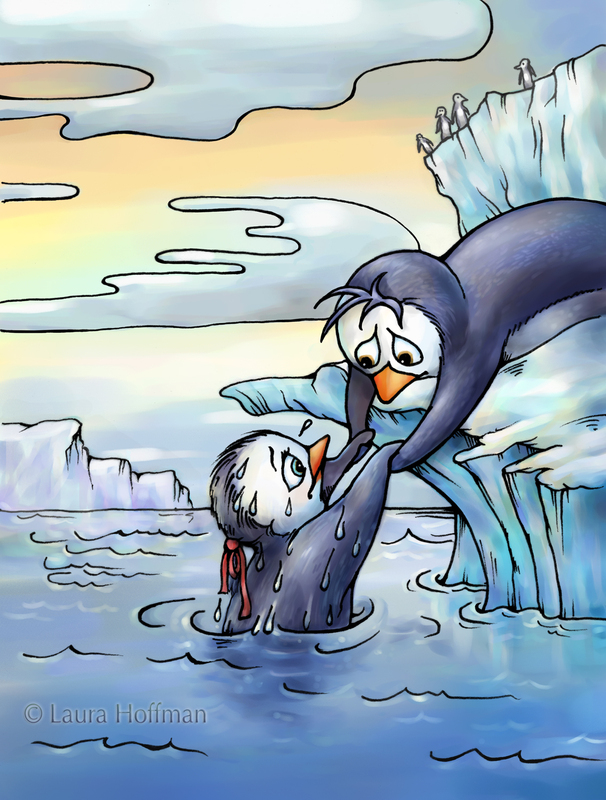 This page shows the repentant Penny getting rescued by her longtime friend, Peter - who ultimately forgives her for being such a mean girl.